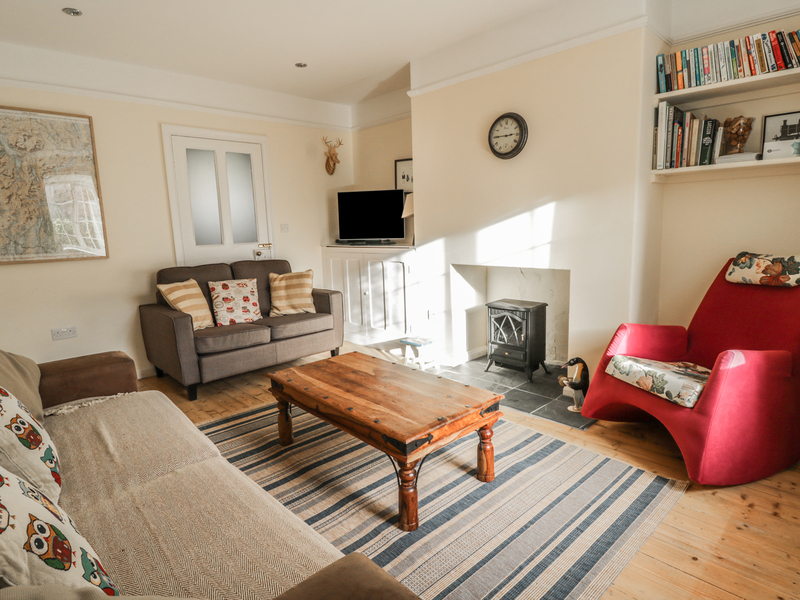 2 Gowbarrow Cottages is a spacious retreat located in the village of Watermillock in the Lake District. Hosting three bedrooms; a super king-size (zip/link) and two twins, (one with zip/link option), and a family bathroom, this property can sleep up to six people. Inside you will also find a cloakroom, kitchen/diner with breakfast bar and woodburner, utility, and a sitting room with electric fire. To the outside is off road parking, and a lawned garden to the front and rear with summer house. 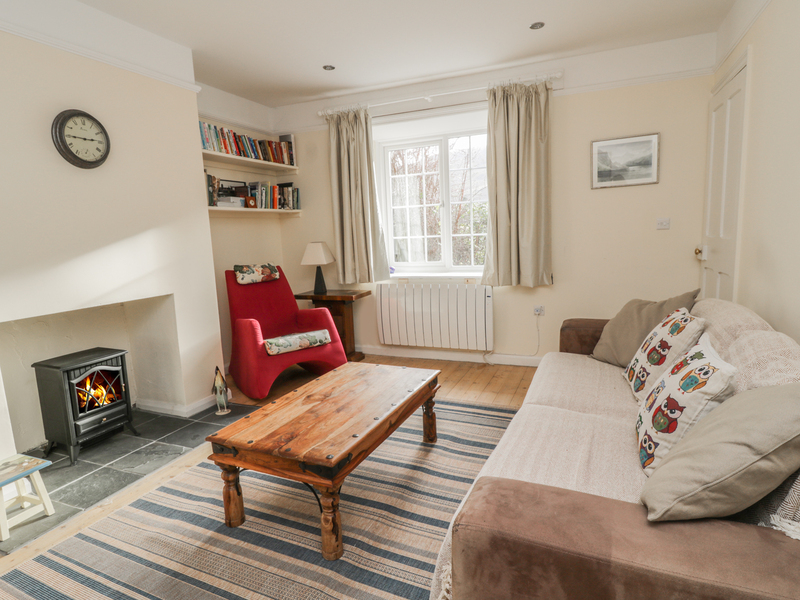 Resting in a pleasant location with notable attractions to explore in your downtime, 2 Gowbarrow Cottages is a wonderful property in a heart-warming part of England. 1 x twin (zip/link, can be king-size upon request), 1 x twin. Bathroom with bath, handheld shower, rainfall shower, basin and WC. First floor cloakroom with basin and WC. Kitchen with dining area with breakfast bar and woodburner. Utility. Sitting room with electric fire. Electric central heating with woodburner and electric fire. Electric oven and hob, microwave, fridge/freezer, washing machine, dishwasher, TV with Freeview, WiFi, selection of books, games and DVDs. Fuel, power and starter pack for stove inc. in rent. Bed linen and towels inc. in rent. Cot and Highchair available. Off road parking for 2 cars. Lawned garden to the front and rear with summer house. One well behaved pet welcome, Please be aware that the garden is not secure. .Sorry, no smoking. Shop and pub 3 miles.